Since I just started this blog I thought I’d introduce you to the most important part of our farm, the animals! 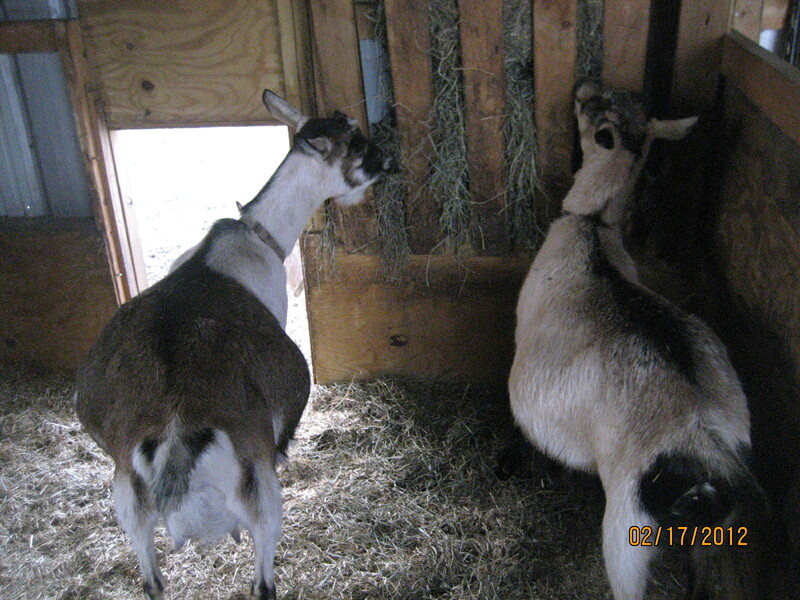 In this post I’ll introduce you to the goats; in later posts you’ll get to meet the chickens, rabbits, and the cows. All my goats are Alpines, which is one of the biggest breeds of goats. Alpines are known for their hardiness, milk production, and high energy levels. 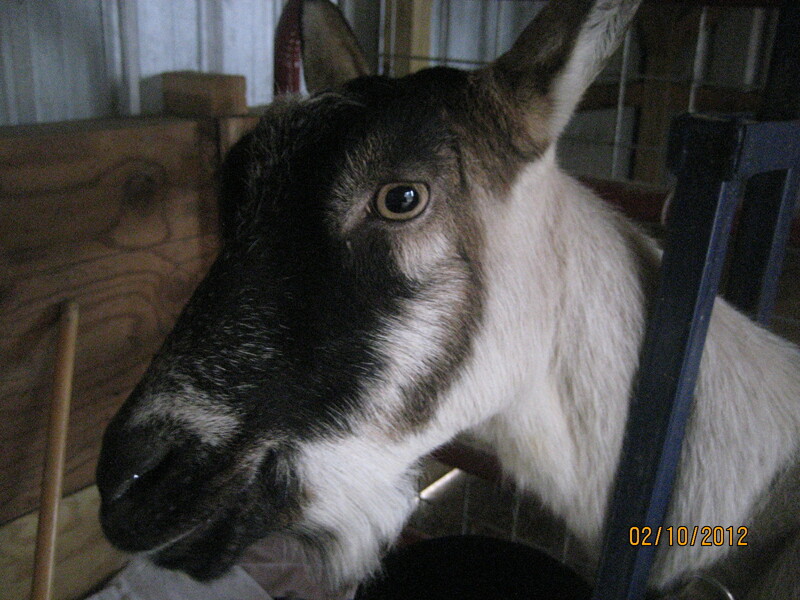 Sekula was born April 2, 2008, and is my oldest doe (female goat). 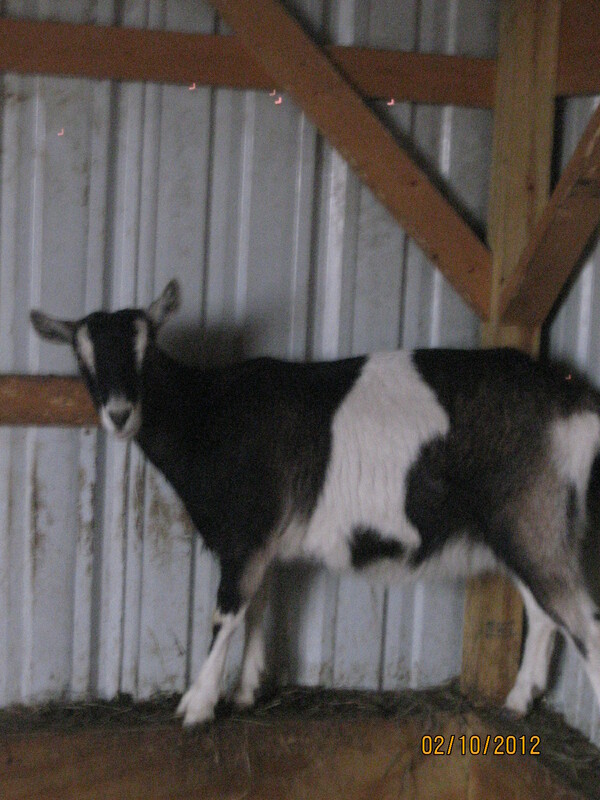 She was one of the 3 original goats I purchased to start my herd. 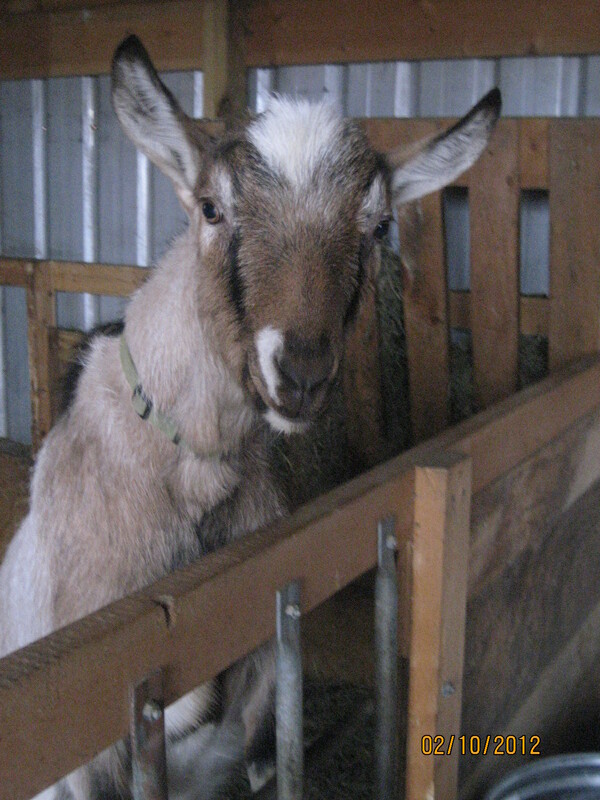 Sekula is a very personable and friendly goat. She is due to kid (give birth) for the second time next month. Sekula gave birth for the first time last March to a set of twins. Her kids are named Frodo and Ellie. Ellie is very energetic and playful. She is big for her age and won Junior Champion at the fair last year. This year Ellie will be shown as a Dry Yearling. Frodo is Ellie’s twin brother. He is a wether that I want to train to pull a cart. His disposition is perfect for this, since he is very sweet and gentle. 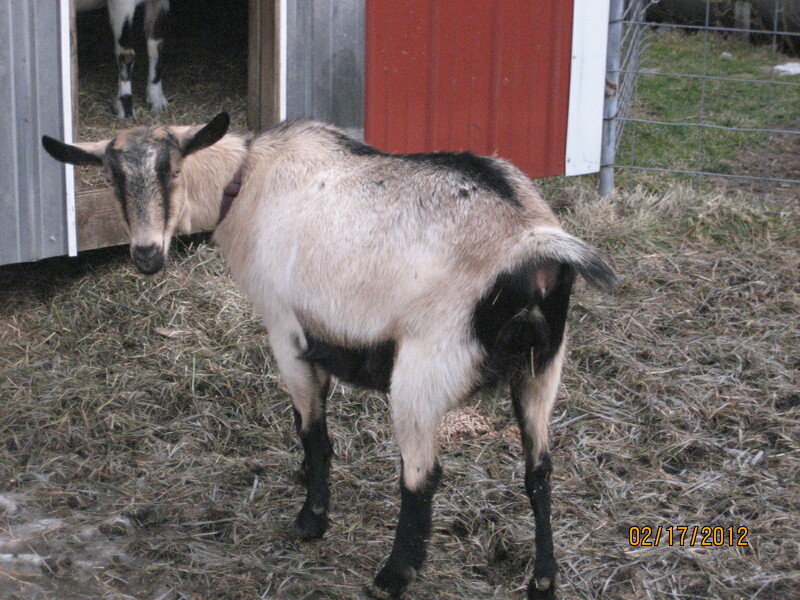 Female goats, called does, produce milk. Does must give birth before they start giving milk. Michaela what a cool thing this is. It highlights your life wonderfully. You have to teach me how to create a blog. Hehe. So great really enjoyed it.